As a metaphor for our time, ‘a gendered global hierarchy’ may be an unfamiliar and even disconcerting image to many. Unlike other metaphors in this book, a gendered global hierarchy is not associated with any particular author, text or origin. In fact, at present this metaphor has no single meaning and therefore has perhaps less currency in the literature of International Relations than some of these other metaphors. Rather, there is a rapidly growing body of research, writing, teaching and activism we might label ‘feminist IR’. In some respects, all variants of feminist IR are critical of a gendered global hierarchy, but they differ significantly on what constitutes this hierarchy, how it is produced and sustained, and how we might move beyond it. 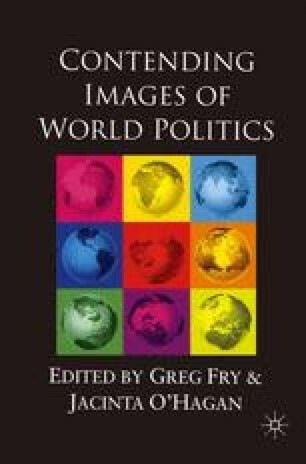 While there is, then, no single or simple image, an examination of the various interpretations of a gendered global hierarchy brings us to an important site that other pictures of world politics miss, one which has important implications for the theory and practice of world politics.